1953: Waikiki beach underdeveloped diamondhead visitors playing. HONOLULU, HAWAII. 100% unique retro 8mm film home movie professionally captured with proprietary post production in full 4k resolution. Vacation woman swimming at infinity pool on Hawaii smiling looking at camera. Beautiful asian young female adult enjoying happy holiday travel at Waikiki beach in Honolulu, Oahu, Hawaii, USA. Beach Time Lapse Coastline Sunset v44. 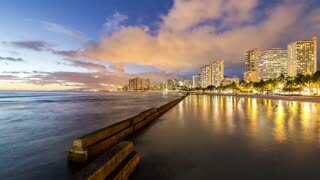 Beach time lapse clip of coastline in Oahu near Waikiki durning sunset. Beach Time Lapse Coastline Sunset v37. 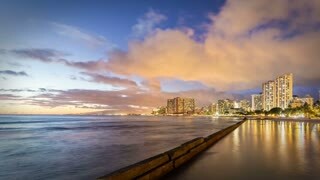 Beach time lapse clip of coastline in Oahu near Waikiki durning sunset. 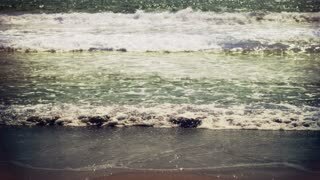 Beach Time Lapse Coastline v36. 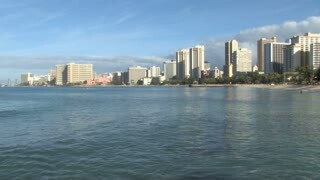 Beach time lapse clip of coastline in Oahu near Waikiki. Beautiful Waikiki skyline with hotel buildings and harbor. Waikiki Beach from an aerial view with people surfing and enjoying a warm tropical vacation. 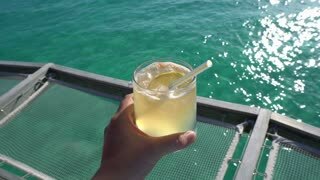 Cruising along Waikiki Beach in Honolulu on a glass bottom boat tour with views of Diamond Head State Monument in the background.